Real Russian borscht from an author who lived in Russia to study Russian culture and language! Easy to follow instructions and simple ingredients. This post contains links for affiliate shopping. At the edge of the Russian wilderness, winter lasts most of the year and the snowdrifts grow taller than houses. But Vasilisa doesn’t mind- she spends the winter nights huddled around the embers of a fire with her beloved siblings, listening to her nurse’s fairy tales. It’s not often that a fiction book sets my imagination on fire. 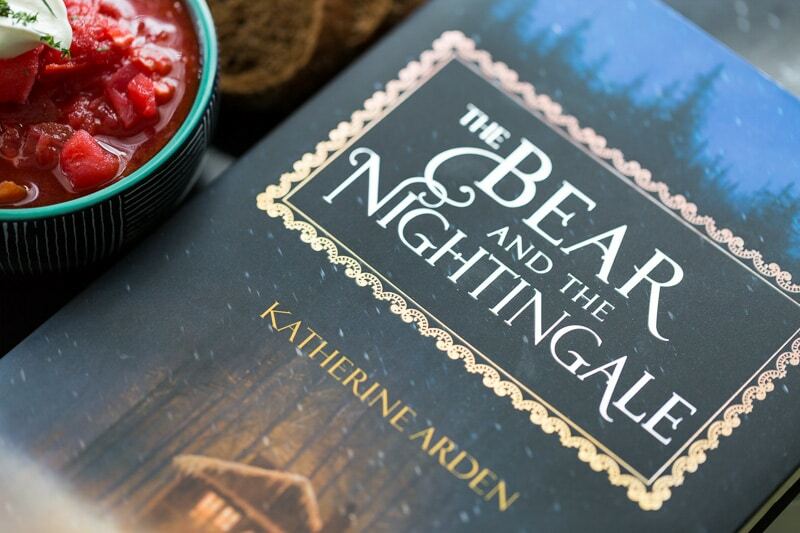 The Bear and the Nightingale by Katherine Arden accomplished that by the end of the first chapter. What does that have to do with Russian borscht, you might ask? Well, that’s the story, isn’t it. Any story, at its heart, is how the characters get from point A to point B. Today’s story is how I got from reading The Bear and the Nightingale to preparing a giant pot of borscht. I originally picked up The Bear and the Nightingale in one of my tangential library catalog searches. You know, the type of search where you look at one book, then click a hyperlink to another, then another, and so on until you forget exactly how you got to where you arrived. Somehow, I arrived at The Bear and the Nightingale, reserved it, and picked it up from the library a day or two later. Above all, she loves the chilling story of Frost, the blue-eyed winter demon, who appears in the frigid night to claim unwary souls. Wise Russians fear him, her nurse says, and honor the spirits of house and yard and forest that protect their souls from evil. Less a domino effect than an inexorable fall of snow, the consequences of neglecting the old ways mount. …crops begin to fail, evil creatures of the forest creep nearer, and misfortune stalks the village… As danger circles, Vasilisa must defy even the people she loves and call on dangerous gifts she has long concealed- this, in order to protect her family from a threat that seems to have stepped from her nurse’s most frightening tales. Oh, I know you want to know what happens next. 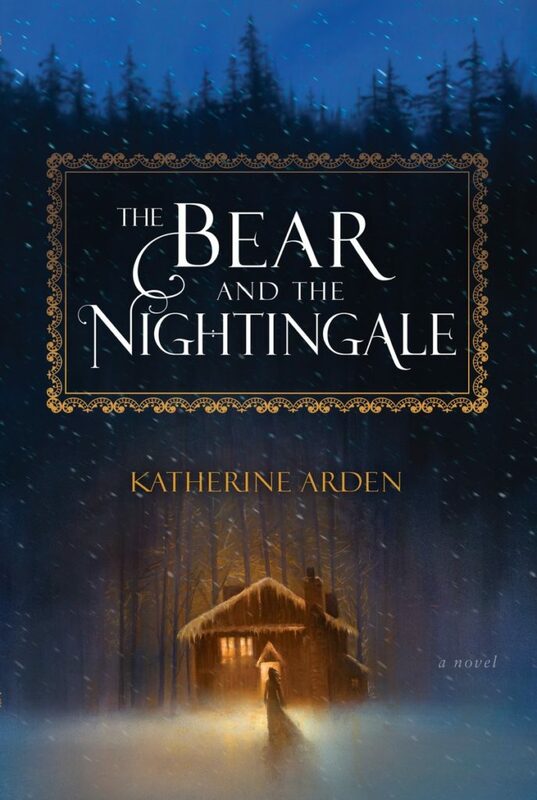 After I finished reading The Bear and the Nightingale, I decided to get in touch with the author, Katherine Arden. I was intrigued by all the sumptuous descriptions of food throughout the book: bread stuffed with honey, hot soup, feasts of roasted pork, and so on. 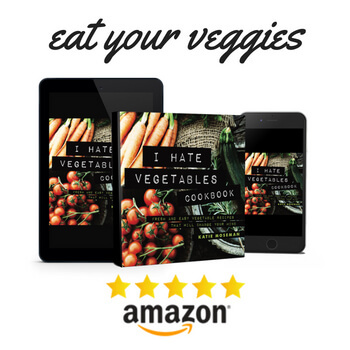 It turns out that not only is she a crackerjack author, but she’s also a vegan and quite the cook. It wasn’t always that way. As a Russian major at Middlebury College in Vermont, she decided that she had to either become a cook or be condemned to takeout forever. 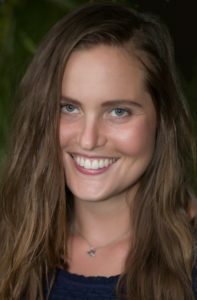 With her giant cookbook library and an arsenal of vegan recipes that are healthy, delicious, and fulfilling, Katherine used her knowledge of cooking along with her research into Russian foodways to set the table, so to speak, in The Bear and the Nightingale. On a typical day, Katherine might start the morning with fruit, such as bananas or papayas, then work straight through the day, stopping for dinner only when the day’s writing is complete. That’s because she does her best work when she’s hungry. She has plenty more writing to do, because there are two sequels to The Bear and the Nightingale on the way. Book two is already complete, and book three is currently in progress. I asked Katherine to share with me one of her Russian recipes, and she kindly obliged with this Russian borscht recipe. 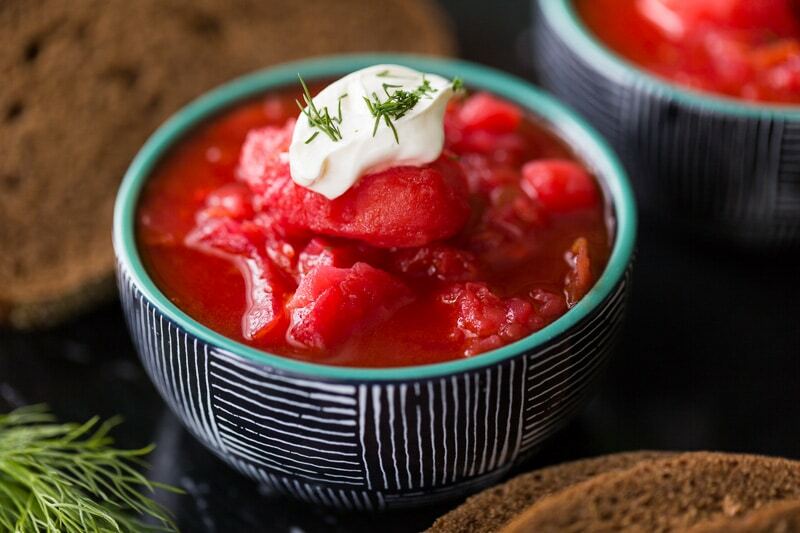 It was inspired by a friend’s Russian grandmother, and is a meatless preparation perfect for Lent (or “Post” in Russia), during which Russians abstain from meat- thus the name “postny borscht” in Russian. As prepared, it’s completely vegan, but you can also add sour cream as a traditional topping. Katherine also recommends a nice, big hunk of dark rye on the side, and I heartily concur. But truly, there’s no better pairing than a bowl of this borscht alongside a copy of The Bear and the Nightingale. 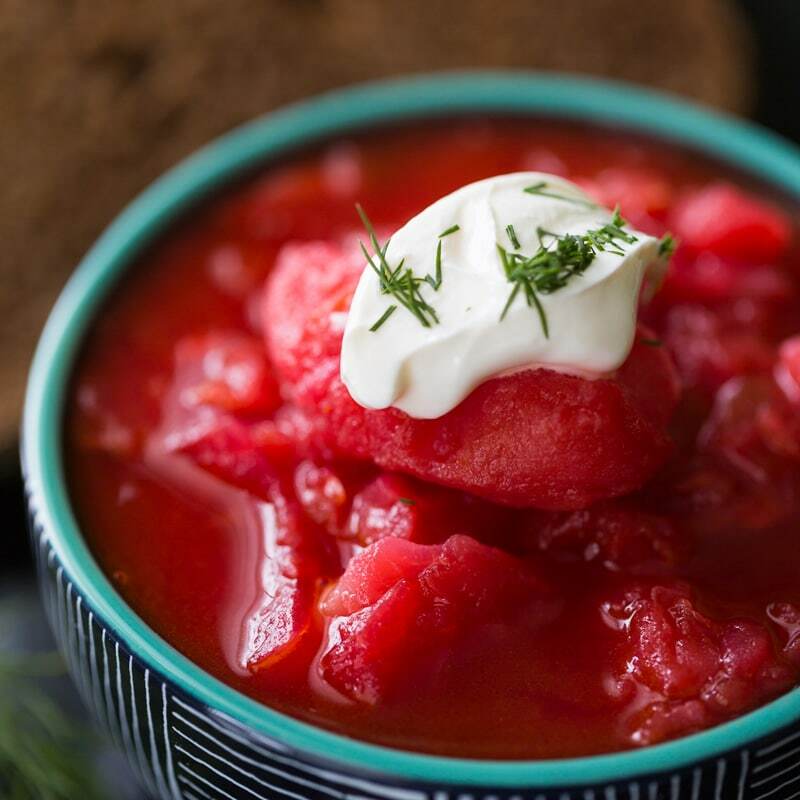 Real Russian borscht from an author who lived in Russia to study Russian culture and language! Easy to follow instructions and simple ingredients. Put the grated beets in a pot with enough water to barely cover, and add the thick lemon slices. Bring to a boil and simmer until the beet is soft, about 20 minutes. Put the potatoes and cabbage together in a large stockpot with water. Boil until nearly tender, about 30 minutes. In a frying pan with olive oil (or butter), fry the onions, garlic, and carrots until the onion is translucent. Add the tomatoes and the tomato paste, mix all together and cook on medium heat for a couple of minutes with bay leaves, salt and pepper. When the potatoes and cabbage are nearly done, add the mix in the frying pan to the water. Remove the lemon from the beet mixture and bring all to a boil. Let it simmer at least 30-45 mins, and then once it comes off the heat, it's better if it sits half an hour or so. Check the flavors. Add more salt or pepper to taste. If too sweet, add in a dash of vinegar. Remove the bay leaves and serve. Top with sour cream and chopped fresh dill if desired. 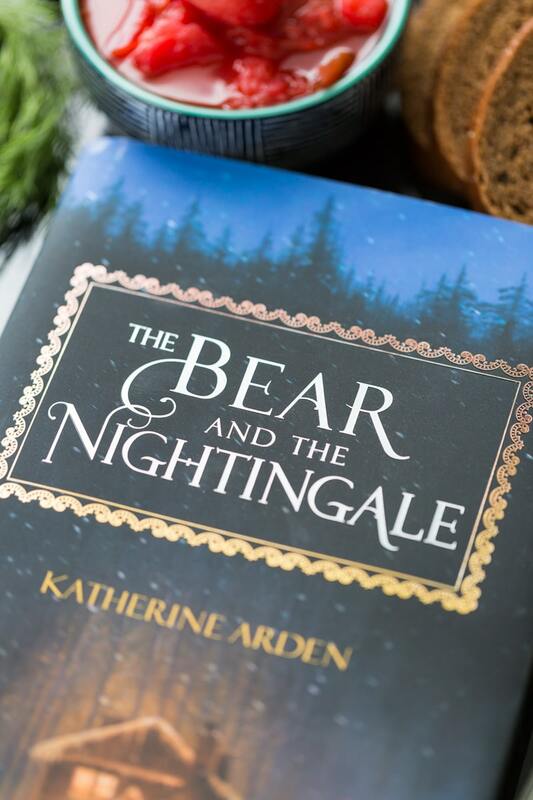 Get your copy of The Bear and the Nightingale! You know, I don’t know that I have ever tried borscht!I love beets though, so “why” is a mystery. It sounds sooooo good! And this version sounds thoroughly legit. Thanks so much for the heads up about this book. I love books like this and can’t wait to check it out. As far as the Russian Borscht, I’m drooling in a crazy way. I’ve got to try this recipe. It looks divine. 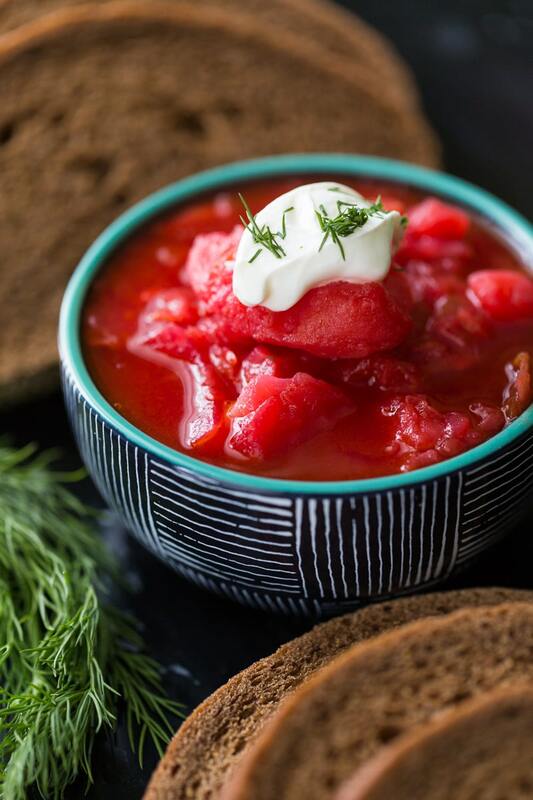 Wow I’ve never tried Borscht before., I would love too though It looks really good though I love the bright red. Gorgeous photos! It sounds like an amazing book. I’ve heard of her but I’ve never read any of her books before. It’s awesome that you had the chance to talk to her and even grab a recipe! Thank you for the book review. It really spiked my interest to read the Bear and the Nightingale. I am sure it would make my mind wader to that place, the main setting in the story. 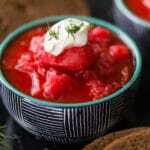 Thanks for sharing the recipe for Borscht. I’ve got to try making that too. I’ve never tried borscht before, and I”m not sure if I would like it as I’ve never been overly fond of beets. 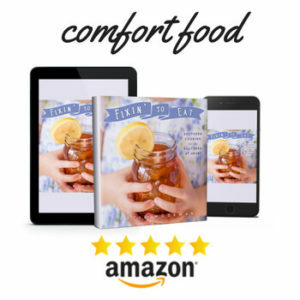 I do love how you have woven this recipe into your book review and it’s pretty great that you were able to contact this author and that she was nice enough to take the time to give you her background information and share this recipe! The book really looks interesting too. Oh this book looks so great! cant wait to have this. 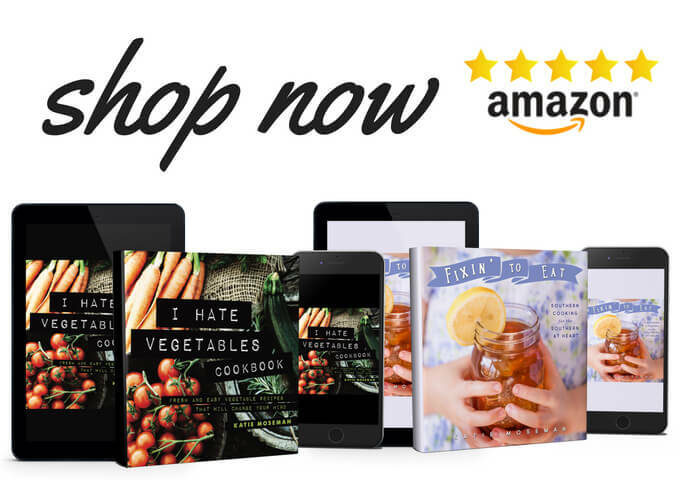 Amazing Book and amazing recipe too! Love it! Thanks for sharing this with us! I have heard of Borscht before, but I really didn’t know what it was. It looks pretty good. I am going to have to try it. I’m a big of beets, but not such a big fan of tomatoes so I haven’t tried borscht. I can absolutely see how this recipe ties into the book. It would be the perfect companion for such an interesting read. Oh my goodness! First of all: you made me hungry! That looks delicious! I am from Germany- so I know Borscht! Yummo! And I love reading and this sound like the perfect pick up! Thanks for sharing! It must be awesome to have the chance talk to a book author. I haven’t read this book yet but I’ll check this one out. Thanks. I haven’t tried Russian Borscht yet but this looks like a hearty soup. The book sounds like something I would have a nice time reading too! They are both must try’s. The book and the book are pretty much perfect combination.